A brand new Australian Open women’s champion, and a new women’s world number one, will be anointed tomorrow night when Naomi Osaka and Petra Kvitova go head-to-head for the first Grand Slam title of 2019. Both women have take contrasting paths to their first final at Melbourne Park, with Osaka having to come from a set down twice (as well as having to overcome Karolina Pliskova in three sets in the semi-finals) to get this far, while Kvitova has been flawless, not dropping a set in her six matches. 21-year-old Osaka has continued her impressive Grand Slam form as of recent, notching up six consecutive wins to go with the seven she won en route to last year’s US Open title, in which she defeated Serena Williams in that controversial final. What was supposed to be the crowning moment of her career, maybe even her life, was sadly tarnished by the controversy generated from the post-match ceremony, in which officials were booed after Williams went on a verbal tirade against them in the second set. Here’s hoping that, if she is victorious tomorrow night, then the occasion is celebrated in the manner it is supposed to be. The US Open crowd’s treatment of their champion, Naomi Osaka, last year was bloody disgraceful. The boos overshadowed her first slam. Now Osaka is through to the #AusOen final, let’s hope she is richly celebrated on Saturday. Back-to-back majors at just 21 would be massive. Here at Melbourne Park, the Japanese star notched up two straight-forward victories to get to the third round, where she found herself in deep trouble – a set and double break down in the second against Chinese Taipei’s Hsieh Su-wei. 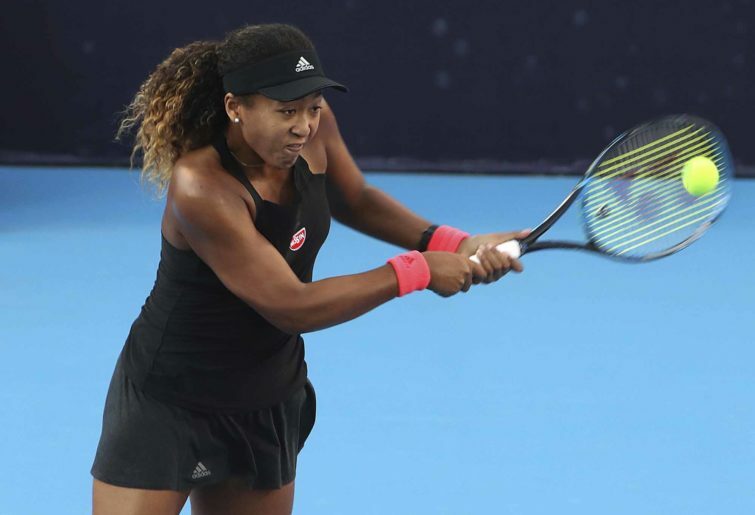 But somehow, Osaka managed to dig deep to claim a three-set victory before also having to come from a set down to defeat Anastasija Sevastova in the fourth round. She then had it much easier in the quarter-finals, defeating Elina Svitolina for the loss of five games, before again being tested in her semi-final against Karolina Pliskova, edging out the tall Czech by 6-4 in the final set and ending her chances of reclaiming the world number one ranking. On the other hand, a win for Petra Kvitova would be just as significant and emotional, given what she had to endure when she suffered a violent hand injury during an invasion of her apartment shortly before Christmas in 2016. The two-time Wimbledon champion was forced to watch the 2017 Australian Open, won by Serena Williams who was two months pregnant at the time, from her couch at home as she recuperated from the traumatic injury which had many questioning whether she would play again. The 28-year-old made a stunning career resurgence last year, finishing the year in the world’s top 10 despite a dismal season at the Majors as well as a poor finish to the year which included going winless at the WTA Finals. Already she has made a blistering start to the year, claiming her second title in Sydney and then winning her six matches at Melbourne Park without dropping a set, including defeating 15th seeded Australian Ashleigh Barty in the quarter-finals. She also dropped serve just once across twelve sets, early in the first set of her semi-final against Danielle Collins. And with no points to defend from last year, all the fresh rankings points the Czech has picked up has put her into the position where she can ascend to world number one for the first time, seven years after her best chance went begging. Here is everything you need to know ahead of tomorrow night’s Australian Open women’s final. * This will be Naomi Osaka’s second Grand Slam final, while for Petra Kvitova this is her third. This will be Kvitova’s first Grand Slam final outside of Wimbledon, which she won twice (2011 and 2014). * This is the sixth Grand Slam women’s final to involve two players born in the 1990s (the other five were Bouchard vs Kvitova at Wimbledon 2014, Ostapenko vs Halep at the 2017 French Open, Keys vs Stephens at the 2017 US Open, Halep vs Wozniacki at the 2018 Australian Open and Halep vs Stephens at the 2018 French Open). * Both players are undefeated in their previous Grand Slam finals, which means one of them will suffer the sour taste of defeat for the first time. * This will be the second consecutive Australian Open women’s final in which there will be a brand new champion and a brand new world number one. * Kvitova is the first woman from the Czech Republic to reach the final since Jana Novotna in 1991. She is bidding to become the first Czech woman since Hana Mandlikova in 1987 to win the title. * Kvitova is bidding to become the first woman to win the title without dropping a set since Serena Williams did so in 2017. She is also bidding to become the second left-handed woman in four years to win the title (after Angelique Kerber in 2016). * Osaka is bidding to become the second Asian woman (after Li Na in 2014) to win the Australian Open. She is also bidding to become the first woman to win two Majors by the age of 22 since Maria Sharapova won three before turning 21 in 2008. Petra Kvitova in three sets. Meantime, Rafael Nadal is through to his fifth Australian Open after thrashing Greek sensation Stefanos Tsitsipas in straight sets, 6-2, 6-4, 6-0. He now awaits the winner of the second semi-final between Novak Djokovic and Lucas Pouille, which will be played tonight. If Djokovic is victorious, then it will set up a sequel to the epic 2012 final which the Serb won in five sets in a match that didn’t finish until just after 1:30am in the morning.